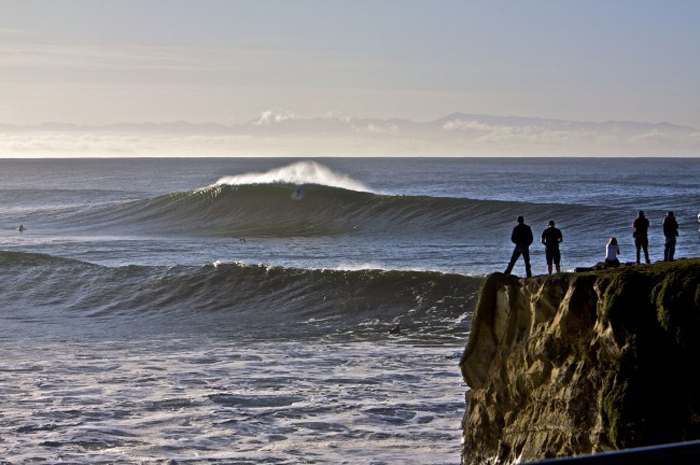 The 2012 O’Neill Coldwater Classic will return to Steamer Lane in Santa Cruz, Calif. as an Association of Surfing Professionals (ASP) World Championship Tour (WCT) event November 1-11. The world’s best surfers will travel to Northern California for the second to last stop on the 2012 ASP WCT, which may well determine the 2012 World Champion. This year at the O’Neill Coldwater Classic, expect to see all of the biggest names in surfing from around the globe in action, including the current ASP Top 10: Joel Parkinson (AUS), Kelly Slater (USA), Mick Fanning (AUS), John John Florence (HAW), Taj Burrow (AUS), Adriano de Souza (BRA), Owen Wright (AUS), Josh Kerr (AUS), Gabriel Medina (BRA), and Jeremy Flores (FRA). After the last event in France, which wrapped up last week, Australian Joel Parkinson took over the frontrunner position on the 2012 ASP WCT ratings. As stop number nine of 10 on the Tour, the O’Neill Coldwater Classic will prove pivotal in the final standings, and with a win at the 2000 O’Neill Coldwater Classic, Parkinson has established his abilities at Steamer Lane before. With a long and rich history, the O’Neill Coldwater Classic at Steamer Lane is known for producing powerful and consistent conditions in a classic Northern California setting. Originating in 1987, the event has taken on various incarnations over the past three decades. It was once an ASP WCT event (prior to the ASP creating a two-tier system), but for the past few years, it has run as an ASP Star or Prime event. With this year’s upgrade to the highest echelon of professional surfing, it will not only bring the top caliber of talent to Steamer Lane, but a lofty $425,000 prize purse as well. The event’s upgrade coincides with O’Neill’s 60th anniversary. The globally recognized lifestyle brand, founded in 1952 by Jack O’Neill, revolutionized modern day surfing with the invention of the first wetsuit allowing surfers to spend more time in the cold waters of Northern California. Start the conversation on Twitter and Instagram with #oneillcwc. SANTA CRUZ, Calif., Oct. 26, 2012 – O’Neill announced it has awarded one of its two wildcards to local Santa Cruz standout Jason “Ratboy” Collins, and will host a trial beginning at 8 am on October 31 to select the second and final wildcard for the 2012 O’Neill Coldwater Classic. Both wildcards will meet the world’s best surfers in the Association of Surfing Professionals (ASP) World Championship Tour (WCT) event, November 1-11, at Santa Cruz’s Steamer Lane. A press conference with top ASP WCT surfers Kelly Slater, Joel Parkinson, John John Florence and Mick Fanning will be held at 11 am on October 31 during a break in the trial. On October 31, the day before the holding period begins, 12 invited surfers will compete for a second wildcard into the 36-man field of the main event. Invited athletes include several Santa Cruz locals Nat Young, Bud Freitas, Noi Kaulukukui, Adam Replogle, Josh Mulcoy, Randy Bonds, Shaun Burns, Josh Loya and Jimmy Herrick, as well as, Johny Craft (Carmel, CA), Cory Lopez (Indian Rocks, FL) and Tim Reyes (Huntington Beach, CA). Over the years, locals have played a major role in the O’Neill Coldwater Classic legacy, most notably in 2008 when Nat Young clinched the title at just 17 years of age. Young will be one of the favorites hoping to qualify through the trial to compete amongst the Elite 34 and show his prowess at “The Lane”. Other locals who have claimed wins at Steamer Lane include Peter Mel (1997), Adam Replogle (2002), and Kieran Horn (2007). World Tour talent from around the globe has also been a staple at the event, even during its time as an ASP Star and Prime event. Past winners have included Tom Curren (USA) in 1990, Joel Parkinson (AUS) in 2000, Jordy Smith (ZAF) in 2007, Matt Wilkinson (AUS) in 2010, and most recently Miguel Pupo (BRA) in 2011. The world’s best surfers will return to the O’Neill Coldwater Classic from November 1 – 11, 2012. Stay tuned to www.oneill.com/cwc for more information and start the conversation with #oneillcwc. At 11 am on Wed. Oct. 31, the local trial will go on hold briefly for a press conference with top ranked World Tour competitors including current No. 1 Joel Parkinson, 11-time World Champion Kelly Slater, John John Florence and Mick Fanning. With a long and rich history, the O'Neill Coldwater Classic at Steamer Lane is known for producing powerful and consistent conditions in a classic Northern California setting. Originating in 1987, the event has taken on various incarnations over the past three decades. This year it has upgraded to an ASP WCT event in celebration of O'Neill's 60th anniversary. As the second to the last stop on the World Tour, it will not only bring the best of the best to Steamer Lane, but a lofty $425,000 prize purse as well. O'Neill, founded in 1952 by Jack O'Neill, is known the world over for revolutionizing modern day surfing with the invention of the first wetsuit and many other innovations.